The festive season is well and truly upon us, and if you want to make your event or venue extra Christmassy, look no further for a seasonal solution. These Christmas themed attractions from Shoot Systems are guaranteed to drum up sackfuls of Yuletide cheer. A great interactive entertainment option for any occasion, photo booths can be customised with Christmas themed backdrops (think Winter Wonderland and North Pole scenes, or simply go for a red, green and white background with the name of your event). Make sure you include lots of Christmassy props to create a festive feel, such as Santa hats, Naughty and Nice signs, reindeer antlers, mistletoe and more. Whether it’s a Christmas party or seasonal attraction, photo booths will always be a Christmas crowd pleaser. Christmas themed green screens can transform a simple photo shoot setup into a magical memento for your visitors. You could transport your subjects through the sky on Santa’s sleigh, or catapult them inside a snowglobe – the only limit is your imagination! Green screen photo and video booths are Christmas themed attractions that are designed to make an impact – perfect for a corporate Christmas event. Branded green screen content is also a great way to promote your brand in the run-up to Christmas. If you’re holding an outdoor event, a winter festival or a party where guests move around a lot, capture the Christmas atmosphere with our walkabout photography system. There’s no need to wait for visitors to come to you – wherever they are, you can offer them a prop or two and snap away. The ShootNPrint technology behind our Walkabout system is as easy to use as its name suggests – and your images and videos will be available to download and share in an instant. 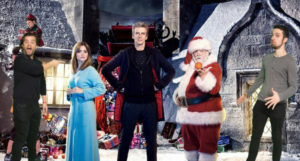 For children everywhere, Christmas wouldn’t be Christmas without a visit to Santa. If you are running a grotto this year and wish to offer photographs as souvenirs, Shoot Systems has the perfect solution. 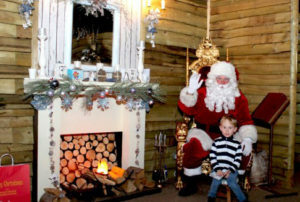 For shopping malls, garden centres and other venues and attractions, our Santa’s Grotto photography is a high-quality, user-friendly photographic system that requires no technical knowledge to operate. (Even an elf can manage it!) Parents and children alike will be delighted with the results. Whichever Christmas themed attractions you select from Shoot Systems, one thing is certain: all of our solutions will make image and video sharing into a quick, easy and intuitive process. With our simple user interfaces and secure access to content, accessing and sharing photos and videos is as easy as 1,2,3. As well as offering a streamlined user experience, all of the photo and video systems on offer at Shoot Systems are set up with security in mind, using unique customer numbers and QR codes to ensure exclusive access to photo and video content. Our ShootNPrint software is designed to be easy to use, no matter how complex our technology is.